← Five Thing Thursday: November 8th. 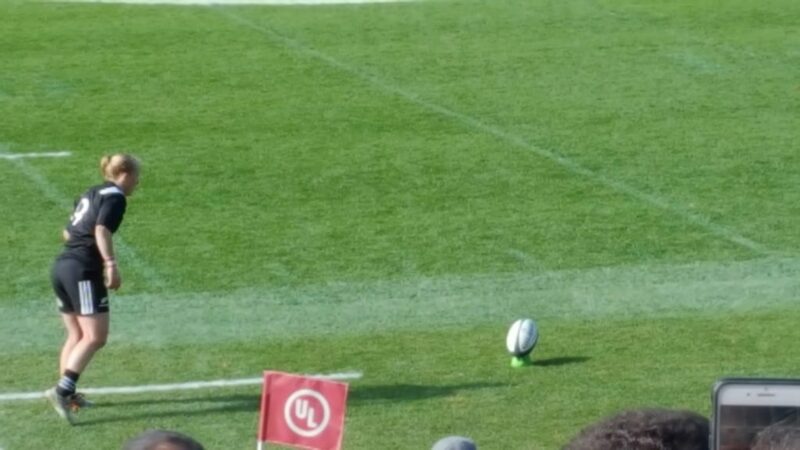 If you recall, Last Week at this time, I was headed down to Chicago for some Rest, some Recharging, and some Rugby! I’d never been to Soldier Field, and let me tell you that it’s a pretty cool place. The matches were amazing! 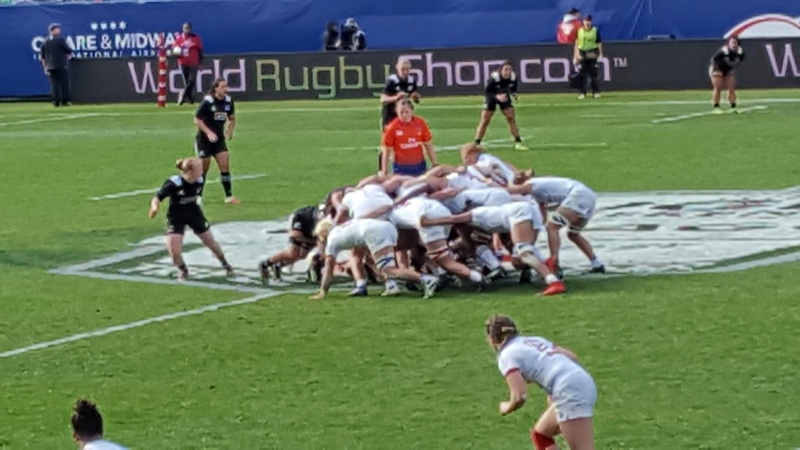 What you’re looking at here (Photo courtesy of my amazing wife who let me drag her across two state lines – one way – so I could get my Rugby Geek on) are the New Zealand Black Ferns and the Women’s USA Eagles. First match of the day, the sun was shining and it was still pretty warm, and, for the first ever live rugby match I’ve ever seen, I couldn’t have asked for better. Next Match was Ireland v Italy. I’ve been an Ireland fan pretty much since I’ve been watching Rugby. So much so, that I’m even following provincial teams (Go Leinster!!) when they play. Ireland v Italy, was as entertaining as it gets and, as a bonus, it was referee’d by Nigel Owens! It says a lot that I’m a fan of a referee (I’m even following him on Twitter) of this amazing game. Last match of the day was the New Zealand Maori All Blacks v the Men’s USA Eagles. One of the other things I’ve never seen live before was a proper Haka. If you’ve never seen one, Google it. Suffice it to say that every team I was there supporting won their match. It was the best time I’ve had in a long time, and it went a long way to refilling the well. We found a couple of good places to eat, I got a bit of reading in, a bit of revising done (Ok, so it wasn’t a completely non-working weekend), and loads of rest – though I’ve got to say that I was wiped out on Saturday night. The rest of the week…well the day job was rubbish, and that’s all I’m going to say about that. I’m revising an 11 thousand word “Short” Story that I’d written before starting Chasing the Kestrel. That makes two full length novels of distance between this story and this round of revisions. It’s interesting to see how far I’ve progressed. I didn’t trust myself back then. Not completely. I crossed out a lot of what I’m going to call “Tentative” prose. I also spotted several holes in my younger self’s logic. The Bones of the story are still good: A cat and mouse scenario between a maintenance technician on a luxury starliner, and 5 stowaway assassins. It just needs work…and a significant cut of words before I’ll send it out into the world. I’ve given myself the balance of November to do it, before I start on the first editing pass of Jade Moon Waning. And that’s been the week. How have I been relaxing and refilling the well? This Weekend? Sleep, a bit of gaming, and a bit of Rugby (there are a couple of last chance 2019 Word Cup Qualifier matches taking place. Canada will have to beat Kenya to move forward. Germany and Hong Kong are also going head – to – head for a slot.